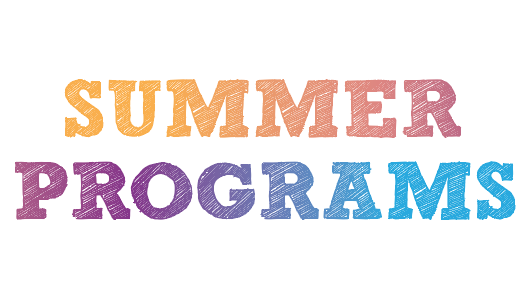 This year’s selection of exciting new Summer Enrichment Programs is now available! Click on the “Summer Programs” tab above to learn more! Summer Enrichment Programs for 2018 are now ready for viewing! Simply click on the Summer Programs tab above. Registration begins April 2. Please note that our summer hours are changing to Monday-Friday 10:00-2:30, and our session offerings are changing to THREE two-week options. Category Uncategorized | Tags: | Comments Off on Summer Enrichment Programs 2018! Get ready for an exciting summer with lots of NEW enrichment opportunities! Click on the “Summer Programs 2017” tab at the top of this page to read more, then stop by 403 Madison Street, or call 920-0003 to register! Category Uncategorized | Tags: | Comments Off on Summer Enrichment Programs 2017! 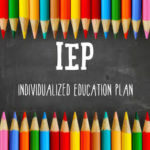 Before you start another school year… overcome uncertainty and confusion with this A-Z seminar that gives step by step information about the IEP. Learn more about procedural safeguards, special factors, goals, accommodations, details about services and more! Taught by a Special Education expert, seminar attendees will have opportunities to ask questions or schedule a private consultation for more individualized information. Call 920-0003, or stop by 403 Madison Street to register! Our greatest selection of summer programs ever, read all about these new programs for Summer 2016! Click on the “Summer Programs” tab above to read more. Category Uncategorized | Tags: | Comments Off on Summer Enrichment Programs 2016! Click on the Enrichment Programs tab above to read more about our After-School Enrichment Programs for the 2015-2016 school year! Our new location will be 403 Madison Street…just 3 miles down the road! Category Uncategorized | Tags: | Comments Off on New Programs… New Location! Our greatest selection of summer programs ever, read all about these 20 new programs for Summer 2015! Click on the “Summer Programs” tab above to read more. Category Uncategorized | Tags: | Comments Off on 2015 Summer Enrichment Programs! NEW Enrichment Programs for 2014-2015 School Year! Check out our NEW programs and NEW scheduling options for a NEW school year! Click on the “Enrichment Programs” or “Tutoring” tab above to read more! New programs include: Fraction Action, Touch Typing, Sewing & Quilting, Piano 1&2, Art, Musical Multiplication, Creative Writing, ACT Test Preparation, and Recreational Therapy. Category Uncategorized | Tags: | Comments Off on NEW Enrichment Programs for 2014-2015 School Year! See what’s new this summer! Click on the “Summer Enrichment” tab above to read more! Category Uncategorized | Tags: | Comments Off on 2014 Summer Enrichment Progams! NEW! Group Piano Program for Beginners! Experience the benefit of group learning as you enjoy practicing technique, theory, sight reading, ear training, rhythm drills and more through a relaxing, ensemble setting in which you can flourish by hearing and playing music with others! Taught by a classically trained pianist, this program is part of a four-book series with each book taking approximately one session (9 weeks) to complete. Students will need a standard sized keyboard with music stand. (Keyboard stand is optional.). Classes are $20/hour for 9 weeks at a time, and a $12 book purchase will also be requested upon registration.